Twitter Roundup Xtra: @Gidi_Traffic set to win Shorty Awards for being a ‘Life Saving Hero’! Nigeria’s own @Gidi_Traffic has been nominated for the Shorty Awards – the equivalent of the Oscars in Social Media (http://shortyawards.com/category/lifesavinghero). It’s an international award ceremony held annually in New York that celebrates the best of Social Media Users in innovation and excellence. It is a huge step onto the international scene for @Gidi_Traffic. Last December, he was nominated for and ultimately won the awards for Twitter’s Most Informative Handle of the year and Most Creative Twitter of the year by Ynaija.com. He was also nominated for and won another award for Twitter Personality of the Month by a Nigerian blogger and has been named Nigeria’s most relevant Twitter user. @Gidi_Traffic has been nominated in the “Life Saving Hero’ category along with 399 other people mainly from the USA and a few others from around the world. This very competitive category included the likes of the New York Fire Department, Actress Sophia Bush and US Congresswoman Gabrielle Giffords. @Gidi_Traffic came out victorious by winning the highest number of votes in this category and has been invited for the award presentation on the 26th of March 2012 at the Time Center in New York. Gidi Traffic is the only African amongst the finalists in this category and we are proud to showcase a young and brilliant innovation from Nigeria. We see this as a huge opportunity to put Africa and Nigeria, most importantly on the map for a positive cause. Social Media in Nigeria is gaining a reputation from foreigners as a tool of perpetuating ill deeds, but we hope that this recognition can begin the process of enlightening the world about some of the positive uses of Social Media in Nigeria. @Gidi_Traffic is a Twitter handle that began operation on 23 September, 2011 and currently has over fourteen thousand followers and counting on Twitter. Gidi Traffic is using social media and technology to save Lagosians gas money, stress, commuting time and making the roads less congested by helping people vary their routes, ultimately giving Lagosians safer trips through less traffic. 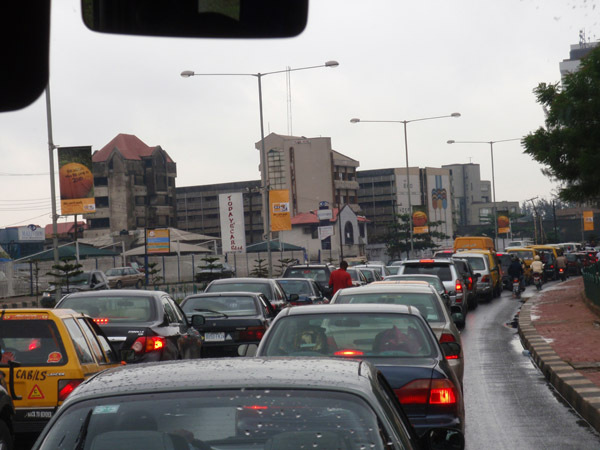 Gidi traffic is not only restricted to vehicular traffic but all forms of informative communications, where people can ask and receive answers to anything, from filling stations selling the least expensive gas to the nearest hospital to a given neighborhood and areas of unrest to avoid. He is provoking many other young Nigerians to be the help they once needed by rendering this selfless service.